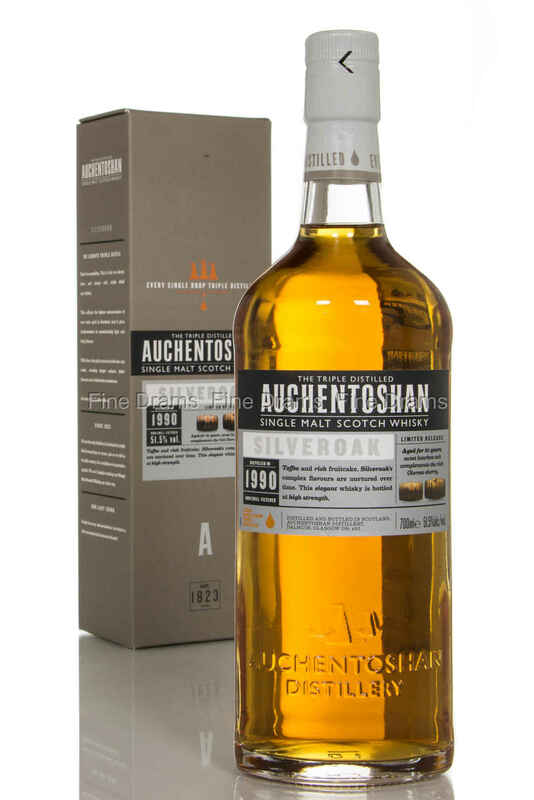 This is a 1990 vintage of Auchentoshan, aged for 21 years in a mix of bourbon casks and Oloroso sherry casks. The Silver oak is a rich and elegant single malt, showcasing rich flavours of toffee, fruitcake and a deep, floral sweetness. For extra strength of flavour, this is bottled at 51.5% ABV. This is a bottling exclusive to the travel retail market.